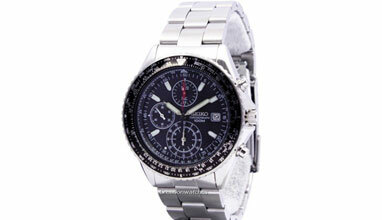 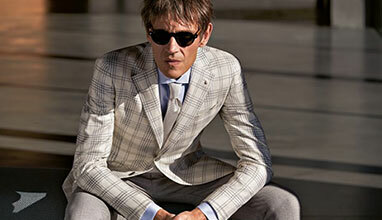 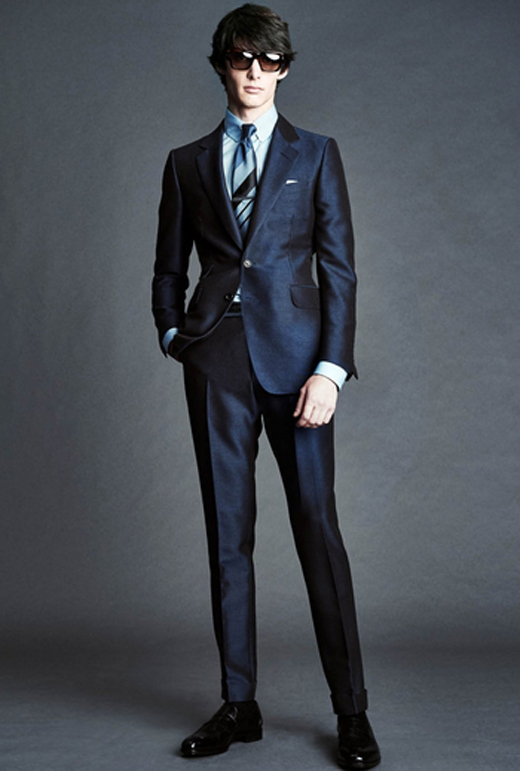 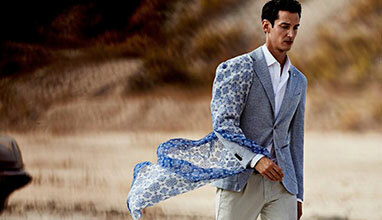 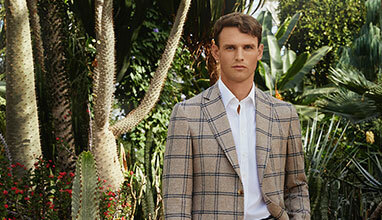 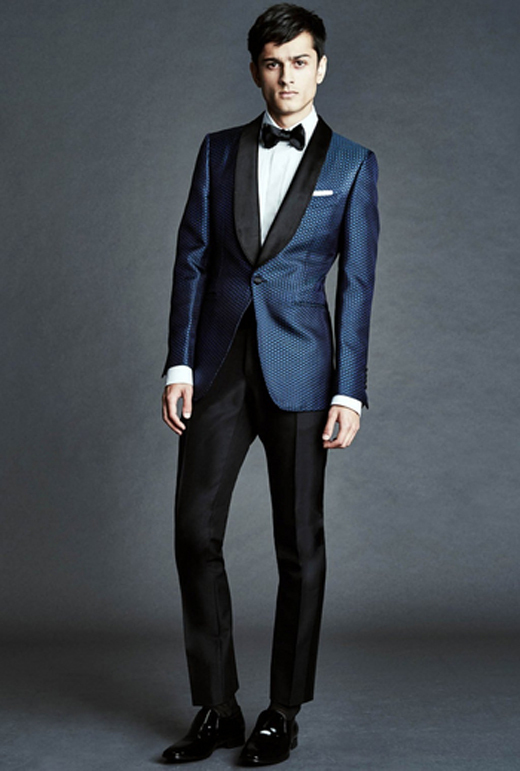 American designer Tom Ford continues to blend his new penchant for casual and formal styles. 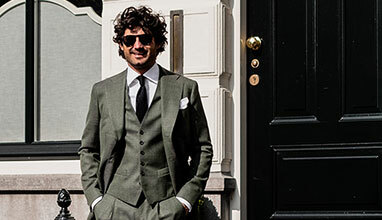 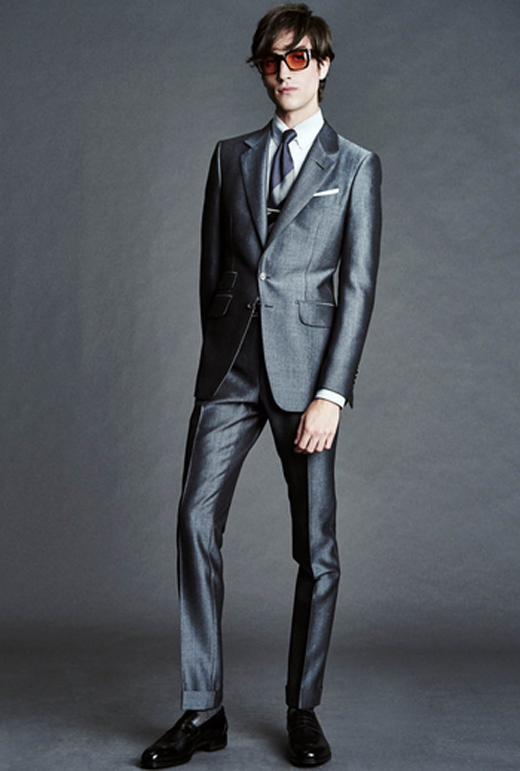 The Spring/Summer 2016 menswear collection delivers a strong lineup of trim, tailored suiting. 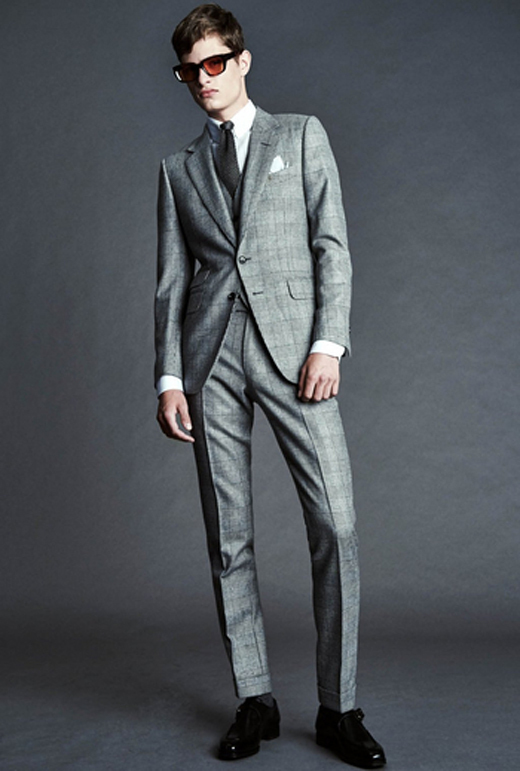 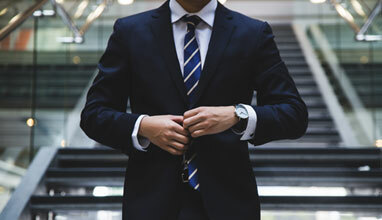 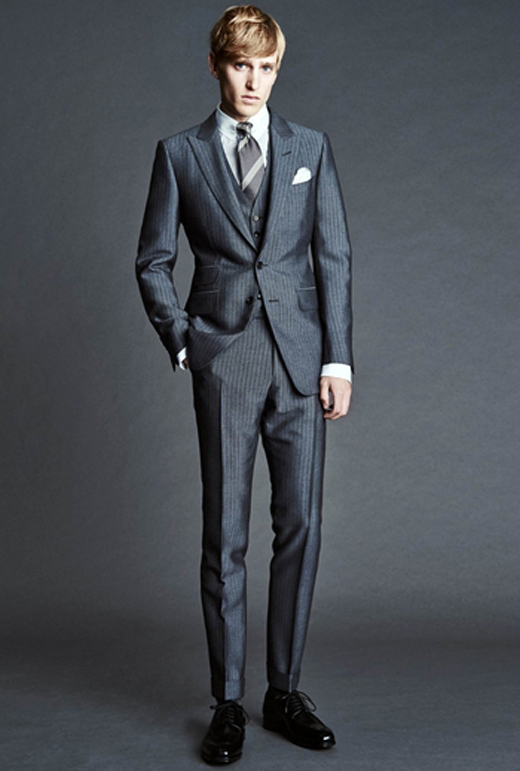 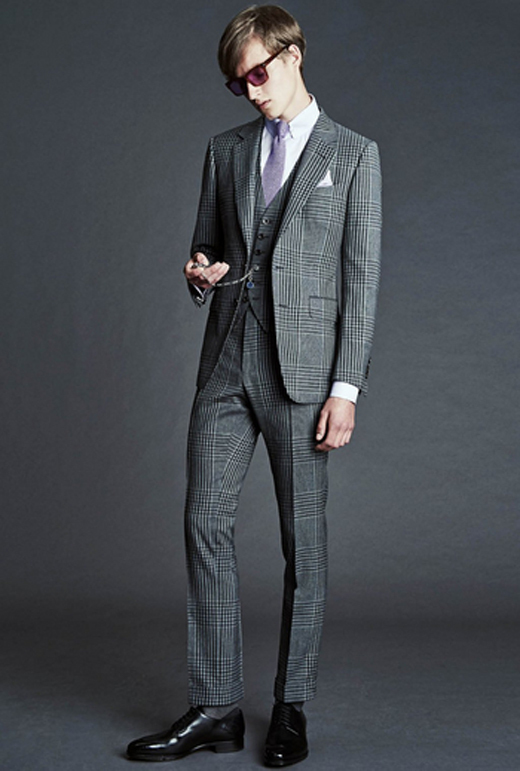 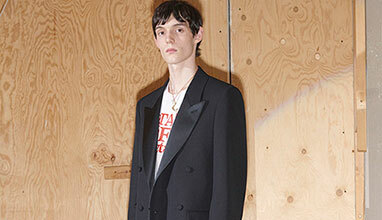 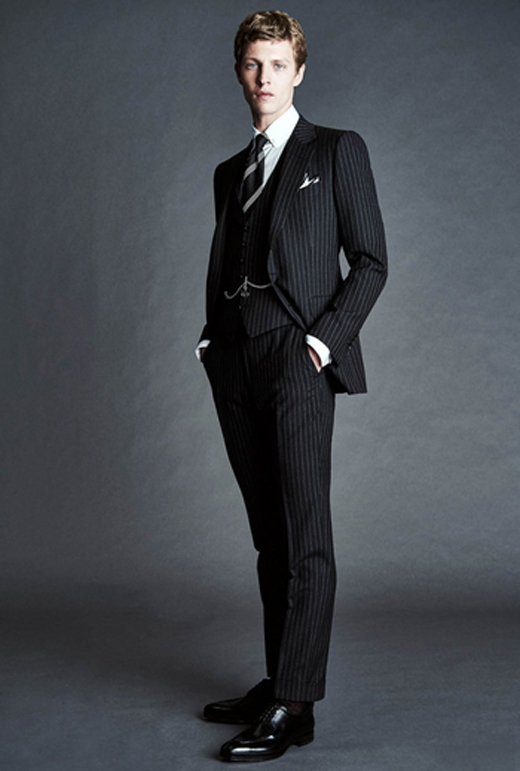 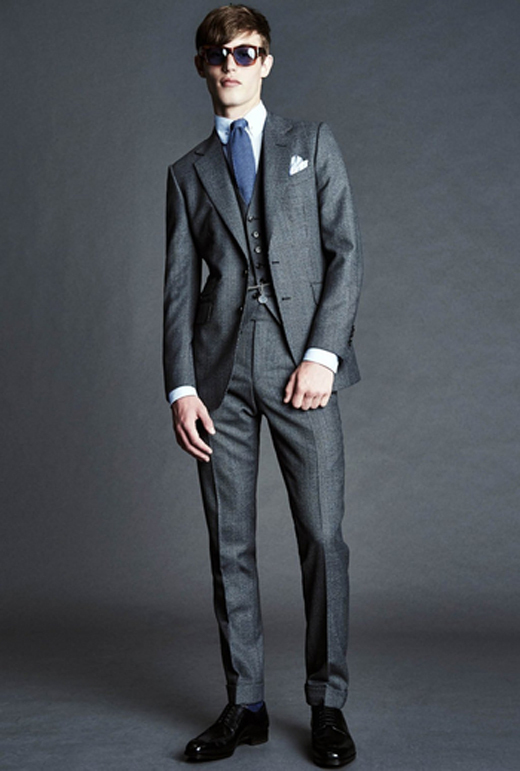 The pinstriped power suits, sharp modern lines – a hallmark of the signature Tom Ford aesthetic – embodied his latest range. 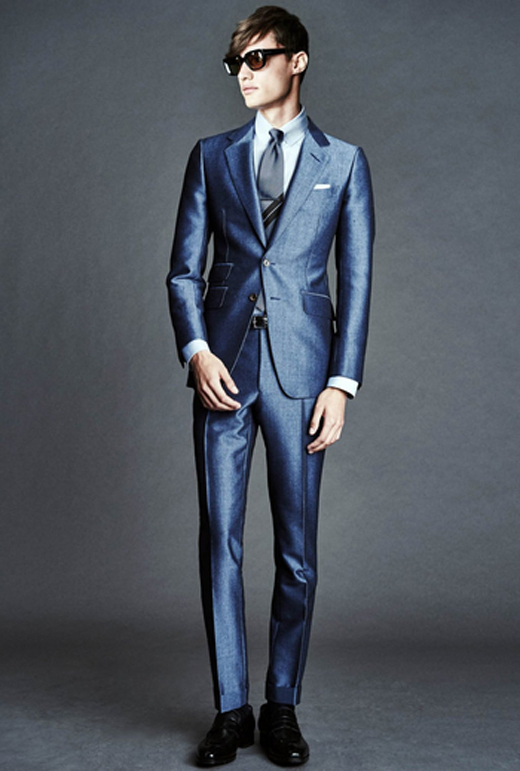 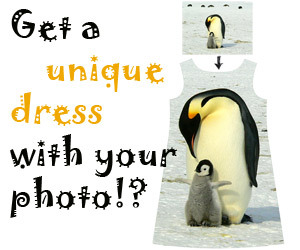 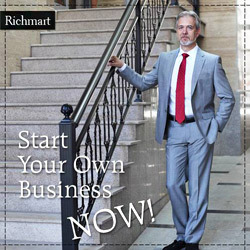 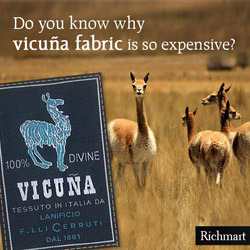 He showcased his designs at his Sloane Street boutique. 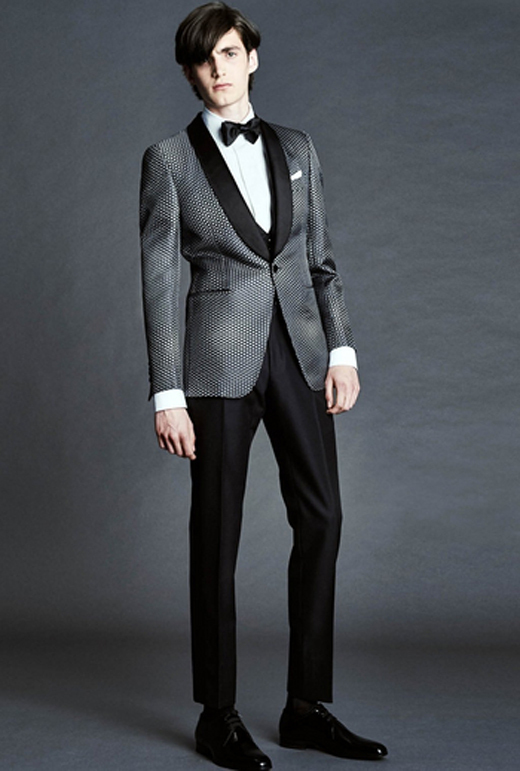 The show presented traditional Tom Ford formal wear, as well as classic outfits that can be seen throughout time. 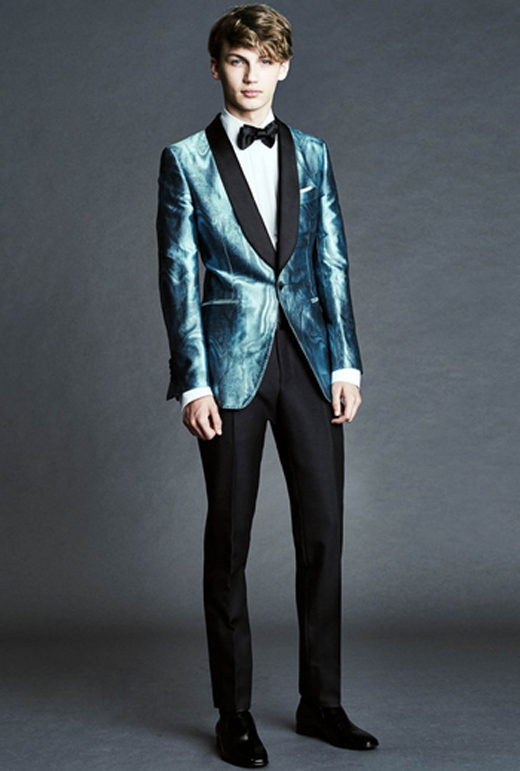 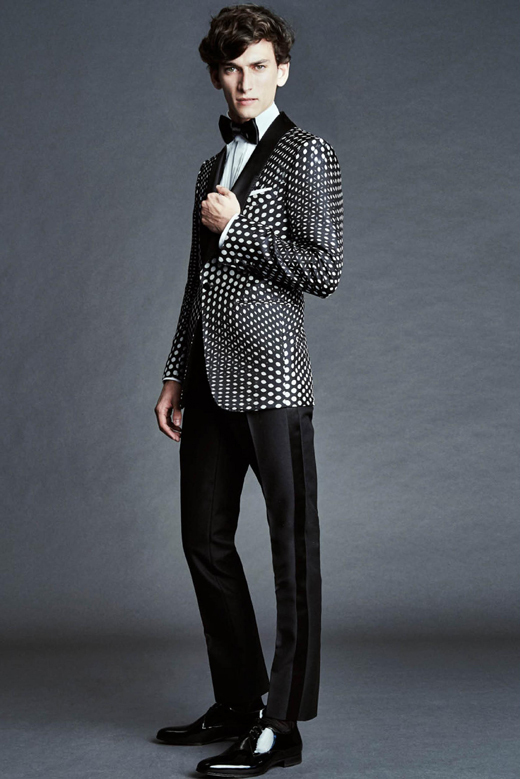 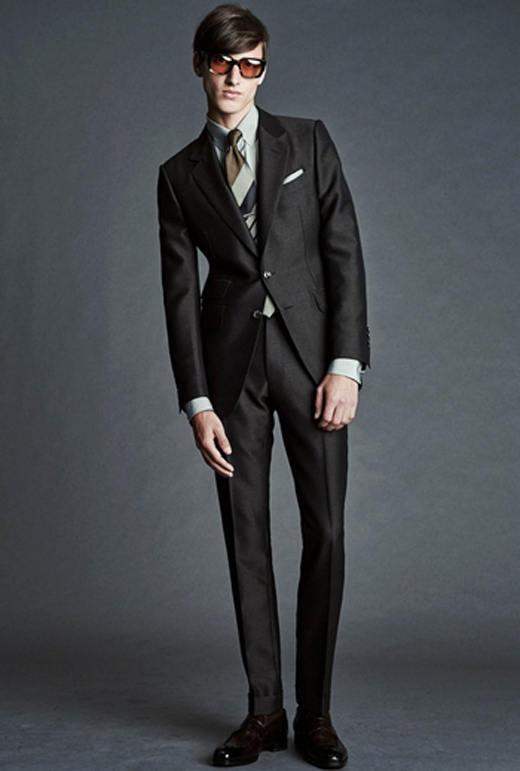 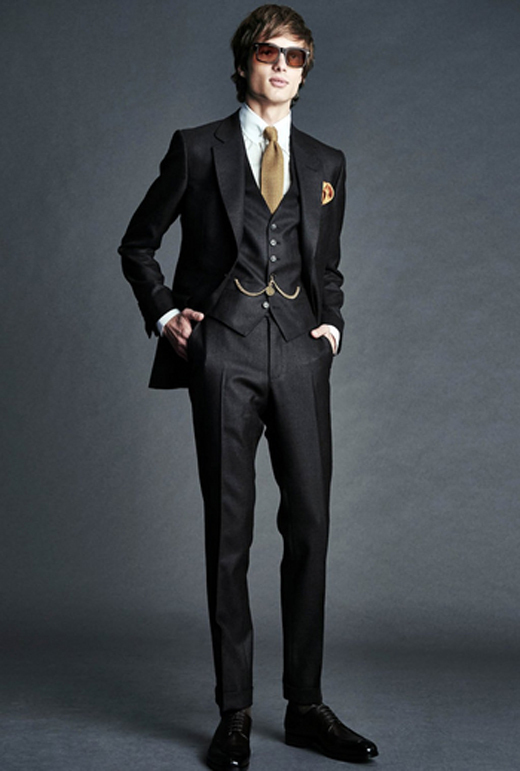 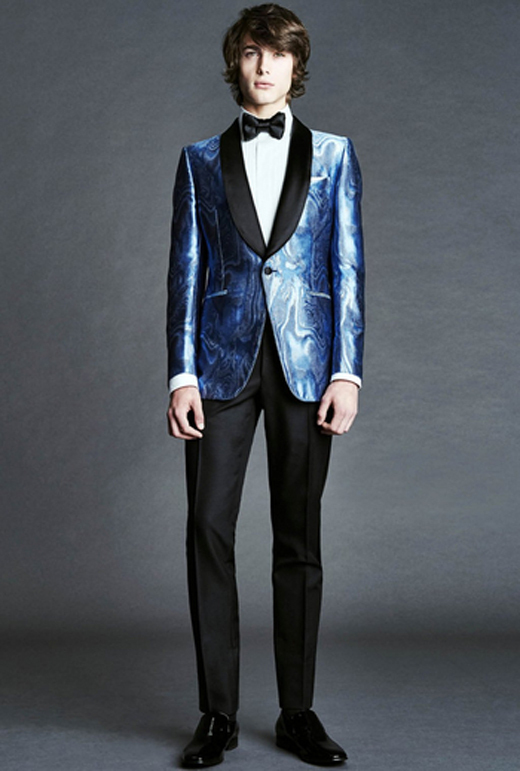 Of course, no Tom Ford collection would be complete without his perfectly fitted tuxedo jackets and suits. 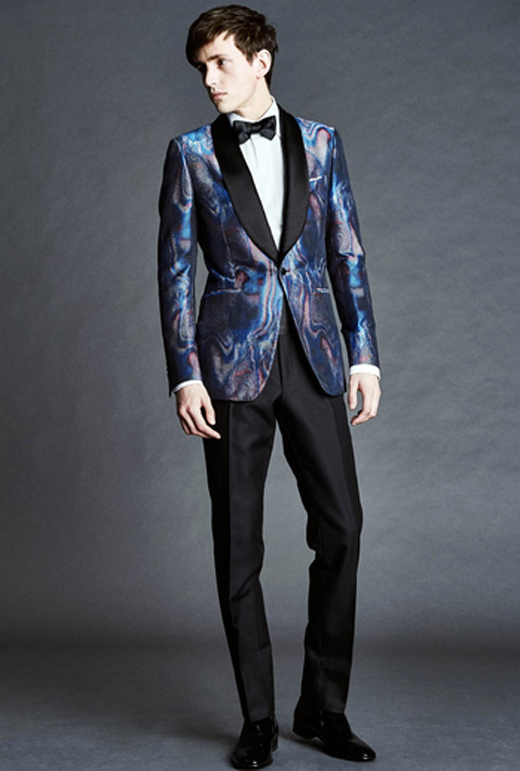 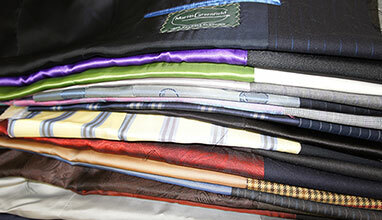 His tuxedo jackets featured a beautiful abstract glimmer pattern featuring shades of blue and purple. 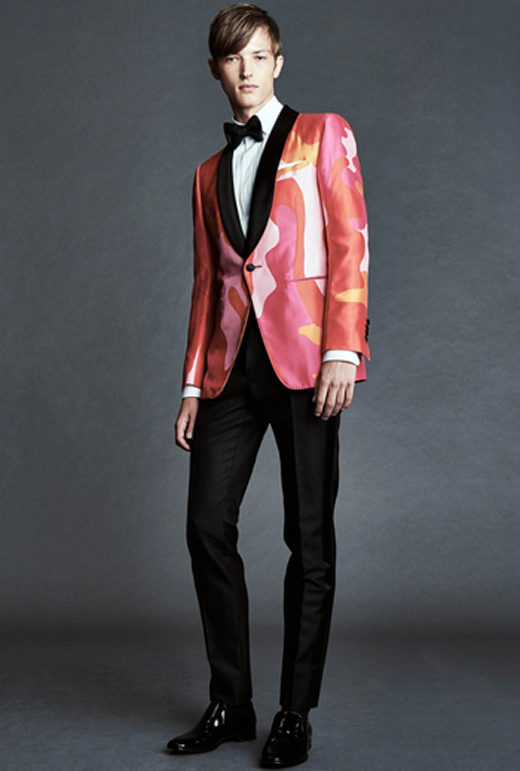 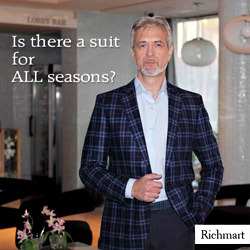 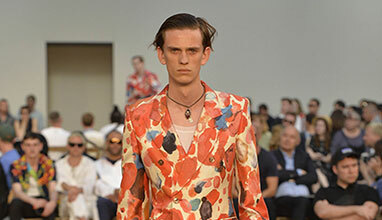 This jacket adhered to the trending look of a two-tone lapel.